The best thing about this awesome Dark Knight Batman Apron is if you wear it properly, you avoid getting food splattered on you; and if you wear it over your back, it becomes a make-shift cape - so you can become your very own superhero! How does Batman's mum call him to dinner? Dinner dinner dinner dinner Batman! Apologies for the dated joke, but it was rather appropriate for a Batman apron, don't you think? Would you consider yourself a bit of a superhero in the kitchen? 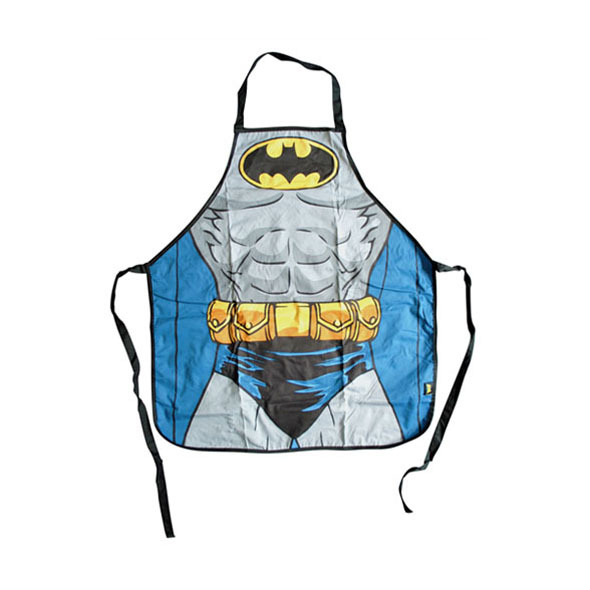 If so you need the Batman (The Dark Knight) Apron to keep you protected from all that mess you make whilst you are cooking up a storm! 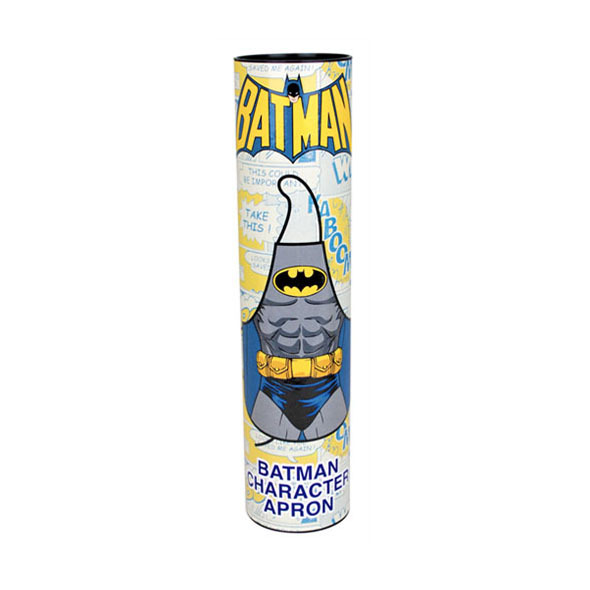 The apron features the classic Batman design, including his six pack! 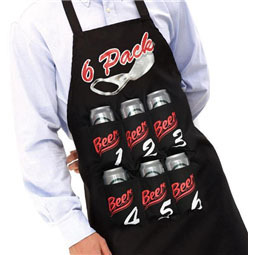 This is a must for the gift ideas list, anyone lucky enough to have this apron will love it! 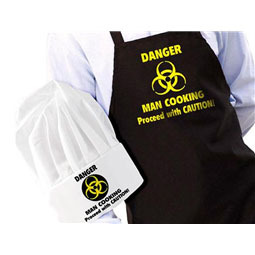 Stay protected in the kitchen with the Batman (The Dark Knight) Apron!